US Republican George Holding introduced a bill in the US congress, which can bring India on par with NATO allies in terms of trade and technology transfer besides elevating its "status" in the export of defense articles from the US. The bill named US-India defense technology and partnership act, which is cleared by the US congress members with a majority of votes. 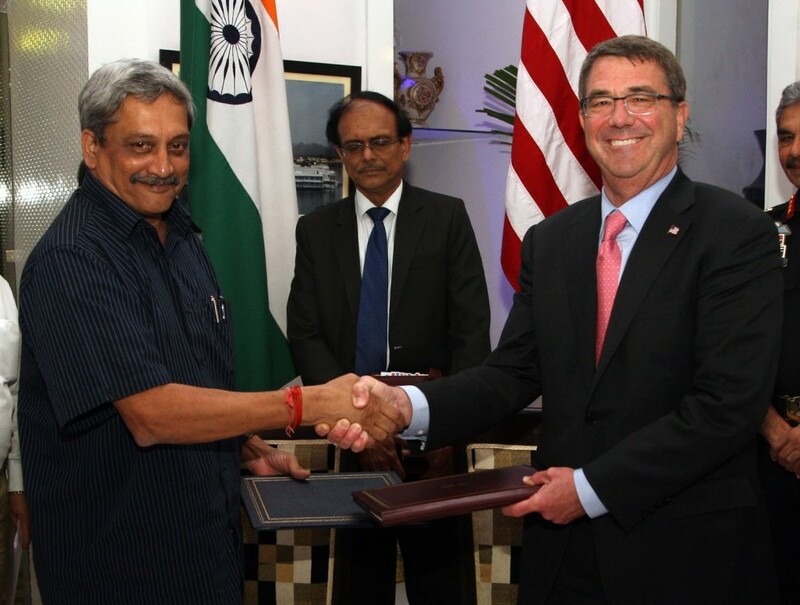 This new resolution brings close the Indians and the US together when comes into military level relationships. where both nations almost clear to sign the much-needed CISMOA, LSA, and BECA agreements. The bill indicates, US will not impose any sanctions against India, and allows to supply munitions and much-needed technologies, which means India will be treated same like other NATO members. The treaty also allows US to transfer higher technologies without the notification in Congress, Earlier defense exports and technological sharing with India must need US Congress approval. The treaty also allows US to assist in military operations which are spearheaded by India, Which include supports from the US military. A step to counter Chinese aggressive movements in Indian sub-continent. US has such treaties with South Korea, Japan, and some NATO countries, who deployed its fighter jets and missile defense systems to safeguard his allies air space. The US also in talks with South Korea to deploy THAAD missile defense system after the Ballistic missile threat posed by the North Koreans. This bill also indicates, both the US and India way closer in Military relationship. India never made such defense cooperation with any other countries, which include Soviet and Russia, who is the top weapon supplier to India and it's rival China. The Republican senator also expressed his concern of US government's sale of F 16 fighter jet to Pakistan, "What, I ask, is the benefit of the sale to our national security and the security of the region and our partners? This is one question, but the request to use taxpayer dollars to finance the sale of these F-16s to Pakistan is entirely another question," he asked. "What has Pakistan actually done to deserve these fighter jets let alone financing from the United States taxpayers? Certainly not enough, in my view, as I firmly oppose the sale from start to finish,"
For the US, it encourages the government to designate an official to focus on US-India defense cooperation, facilitate the transfer of defense technology, maintain a special office in the Pentagon dedicated exclusively to the US-India Defense Technology and Trade Initiative (DTTI). For India, it encourages the government to authorise combined military planning with the US for missions of mutual interest such as humanitarian assistance and disaster relief, counter piracy and maritime domain awareness.